We are headed to Marseilles this week to declare Nolan’s birth to the consulate and get him a US passport and social security number. 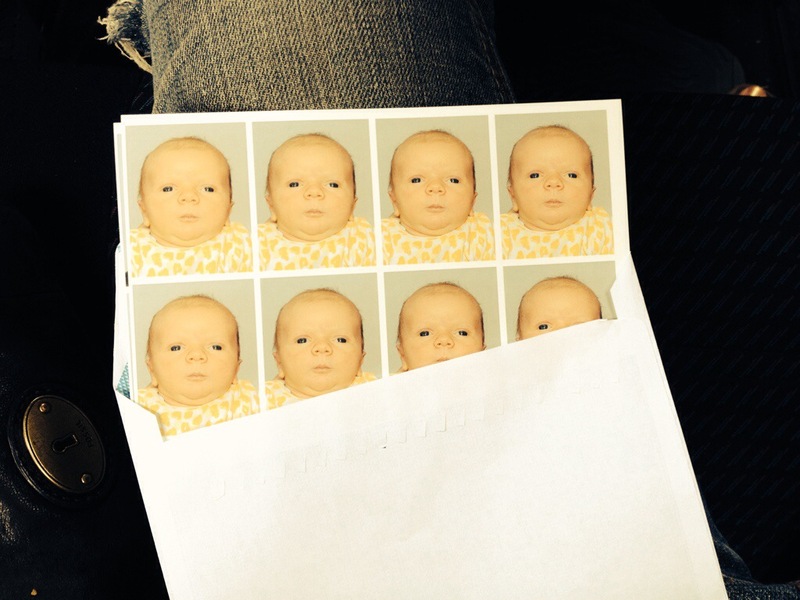 We needed to take some passport photos to complete the application today. No one, and I mean no one, not even cute little French babies, takes a flattering photo. To be fair, he was asleep, and it took the combined singing, cooing and tickling efforts of me, Mathieu and the girl working the kiosk to get him to open his eyes and purse his lips disapprovingly…plus we had to tilt him back at a funny angle to get the grey backdrop behind him, which gave him three chins and no neck. Also, we probably should have thought through the leopard print pajamas when he was getting dressed. It’s really the worst picture EVER. Hence, the best. I start sobbing with laughter every time I look at it! Priceless! 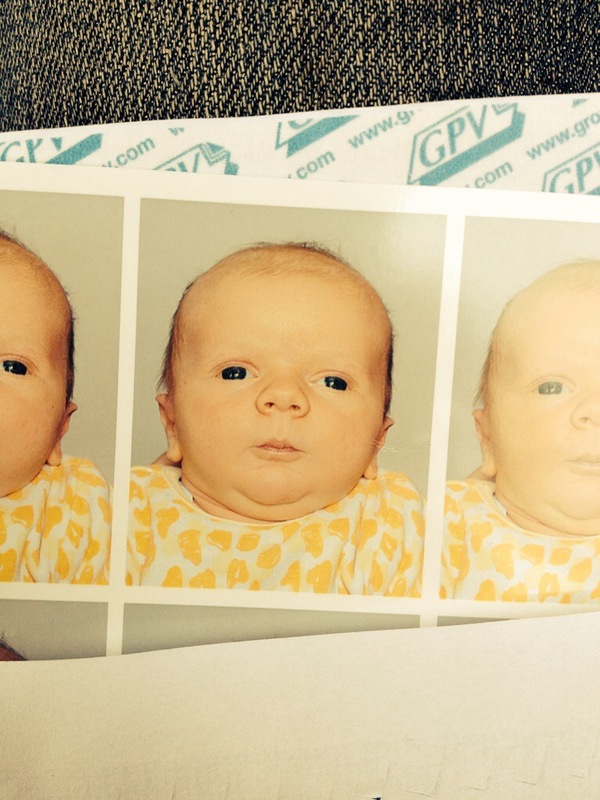 I have heard it said, “thou shalt not smile upon your passport photo”. If his passport is the usual ‘expires in 10 years’, it will be hilarious (but not to Nolan) when he’s 8 or so and has to show that as his photo. Poor little guy! Hahahahaha! Since you have eight of them there, may I please have one for my refrigerator?